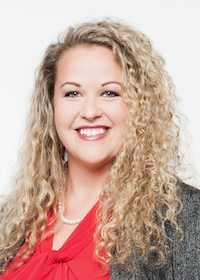 Rebekah Wolfe is an attorney with Ward Black Law. She represents clients with personal injury claims and is passionate about helping people who have been harmed by the negligence of another party. While attending Elon University School of Law, Rebekah completed a criminal defense internship with Clifford Clendenin & O’Hale, LLP in Greensboro. After law school she gained experience in mass tort litigation before joining Ward Black Law in 2016. Rebekah has been on the path to a career in law since ninth grade, when she took a career aptitude test and received judge as one of the results. She completed a research project on the profession and gained an appreciation for law as the glue that holds our society together. After high school, she attended Wilkes University in Wilkes-Barre, PA, majoring in political science and minoring in psychology with plans to attend law school immediately after. Rebekah and her husband recently purchased a home in Reidsville, NC, — a central point between their workplaces. Her hobbies include cooking, shopping, and home decorating.